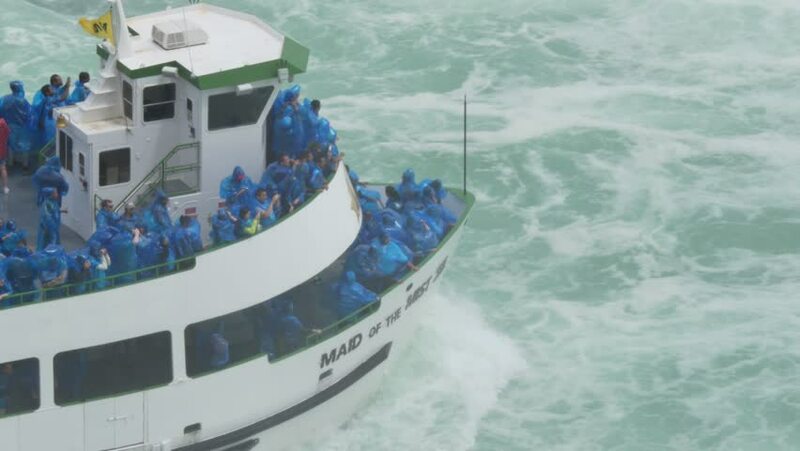 NIAGARA FALLS, CANADA - Circa, June, 2014 - Tourists aboard The Maid of the Mist approach Niagara Falls. For editorial use only. hd00:20The Maid of the Mist. hd00:17Drone footage of a magnificent beach at El Nido Palawan, Philippines. Paradisiac landscape of a dreamy beach with corals and fishing boats.